‘Tis the season! If you’re like the rest of us, you’re bound to spend much of the next few weeks on the road or in the airport. Before you go “over the river and through the woods,” it’s important to be extra mindful on the road this year. 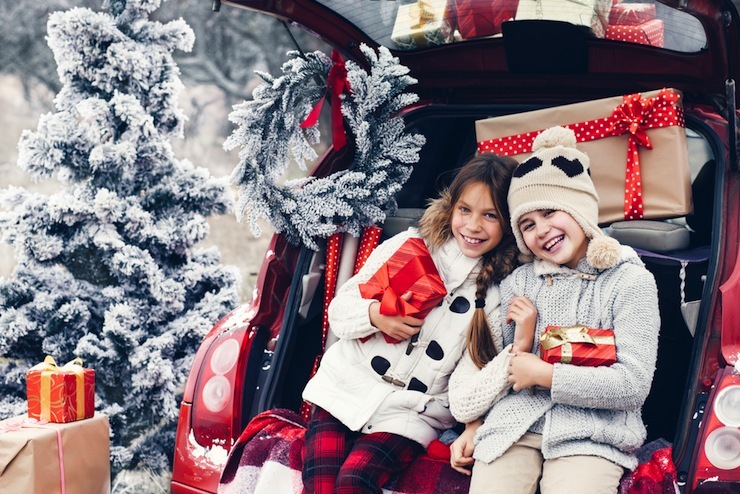 Driving during the holidays can be traffic-filled and hazardous, which is why we have a few tips to keep you and your passengers safe. Tune up for what? Before you get on the road, especially if you’re traveling in wintry conditions, make sure your vehicle is tuned up and safe to drive. Buckle up, Buttercup. This might seem obvious, but you’d be surprised how many people neglect to fasten their seat belts. Be sure to buckle up; seat belt use is the most effective way to save lives and reduce injuries in crashes. A plan makes the man (and woman!) Plan to leave before peak traffic hours, and keep an eye on the weather. Be prepared to change your schedule if you have to; it’s better to be safe than to put you and your passengers at risk. Give yourself a break. It’s important that you are alert at all times. Driving while tired can be fatal, so stop when you need to, get some fresh air, and don’t get back on the road until you feel refreshed. Mind your speed. In addition to avoiding a speeding ticket, keep your speed down. It’ll allow you to react to less alert, more aggressive drivers. Ditch the phone. If you have to make an urgent phone call, pull over. Driving requires your full attention. Don’t drink and drive. Just don’t. Nothing good will come from it. If there will be drinking at your holiday party, designate a sober driver or arrange for alternate transportation. Between Christmas and New Year’s, fatalities from impaired drivers can rise up to 34%, and the number of impaired drivers on the road is substantially higher than that. Play it safe this season, and every season, especially if you’re spending extended times on the road. But mostly, be sure to enjoy the time with friends and family. It truly is the most wonderful time of year!